HIS SIZE: 22 inches long & 8 lbs 13 oz - Ashton is a long baby! And was smaller weight wise than I was anticipating. WEIGHT GAIN: 35 lbs was the final gain. I am so looking forward to get back to pre-pregnancy weight so I can enjoy my wardrobe once again! SLEEP: Ha! About what you would expect with a breastfeeding newborn. Thank goodness for an amazing hubby who is so helpful and willing to stay up with A in the middle of the night so I can get a few hours of sleep at a time. DETAILS: Ashton arrived a 8:23 PM on Monday, February 20th. It was a long 24 hours but worth every minute. 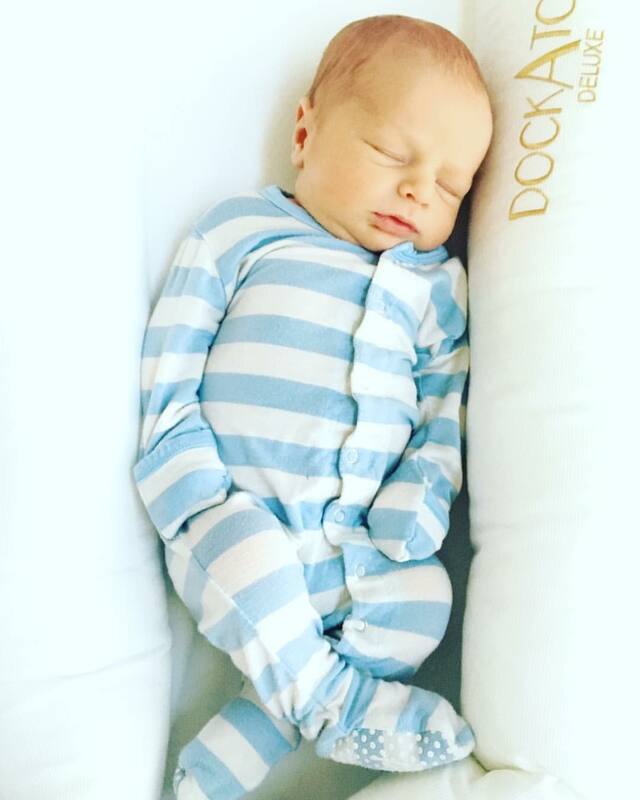 I am currently working on writing Ashton's birth story and birth video. We are so in love! 1: Blanqi Nursing Leggings - I loved their maternity leggings and am equally impressed with their nursing leggings. I wore these home from the hospital and have already ordered a second pair! 2: Kickee Pants - These are the most adorable, soft baby clothes! They are slightly pricey but wash well and I suspect they will last. In addition to all of the outfits I purchased, my sister gave me a quite a few pair of the Kickee Pants PJs that my nephew wore regularly and they are as good as new. 3: DockATot - After having pictures of the DockATot flood my Insta feed, I decided to try it out. While I am not brave enough to let him sleep in it overnight (as I am super cautious of SIDS and will only let him sleep on a flat surface), this is our favorite napping spot so far.